A Peacemaking Project by Luisa R.
GET UP AND GO COLOMBIA is an NGO that promotes tourism in the regions that were affected by armed conflict in Colombia. We want to provide a sustainable job opportunities and a new outlook on life to both ex-combatants either in the process of reintegrating or that have already reintegrated in the department of Cauca. This is a population desperately in need of opportunity as it is one of the regions most affected by the Colombian armed conflict, given that 40% of all the attacks between 1965 and 2013 had taken place in Cauca. Additionally, the region has the 7th highest unemployment rate in the country according to DANE (National Administrative Department of Statistics) . Our first aim is to contribute to the ex-combatants’ reintegration process. Our project’s community has suffered a war for so long and hasn’t had access to the most basic human right -- acceptance and non-discrimination by a society that does not understand their suffering. To us, reintegration is the first step toward sustainable peace, but it is a slow and hard process for a population that has long been misjudged by the public, and introducing them back into a society is a job not just for them. 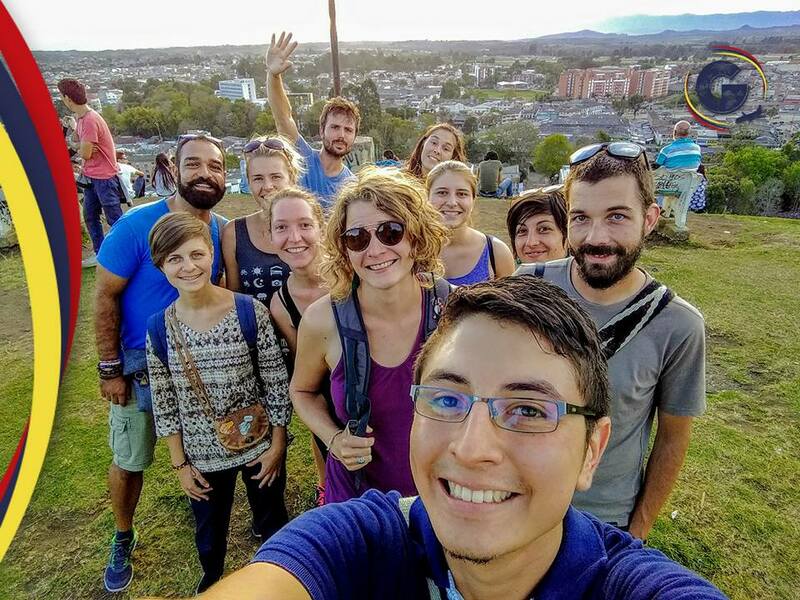 We view tourism as a positive channel that allows them to see their past experiences through a new perspective when they share their stories with Colombian and international visitors alike. Giving ex-combatants tangible job opportunities and skills is a way that they can contribute to and benefit a society that once rejected them while allowing them to discover where they fit in a society in which they’ve been absent from for years. The second aim is to show Colombians and people from all the world that contributing to peacebuilding is possible for anyone and that we all are called as Global Citizens to take part and contribute in this transition to peace in Colombia. Therefore, it is imperative to give job opportunities to ex-combatants in order to create spaces for them to once again be a part of society as productive and contributing members. To us, if we are successful with this project it could aid in the country’s reintegration progress and be implemented nationwide, being a role model in the world. Hi Luisa! This project is amazing. I work for Search for Common Ground, the world's largest dedicated peacebuilding organization. Back in October I did a social change communication training in Colombia with some of our partner organizations. It was my first time in Colombia and I absolutely LOVED it. I do believe that more and more will want to visit. While I was there I also learned about the stigma of former combatants, and I think you are spot on to have them be a focus. Humanizing then empowering ex-combatants as partners (rather than just beneficiaries) is going to make all the difference in the world. I'm coming back to Colombia in May and June (Bogota and Medellin) to train youth leaders in social change communication. Maybe we could connect! Thanks again for sharing your project with Peace First members, and we are looking forward to your next steps of the project! Please let me know how can I help.